We are offering a broad gamut of Gardening Pruner Shear to our respected clients. We bring forth to our esteemed clients, highly demanded Pruning Shear. This Pruning Shear is a product of the expertise of our skilled workers. The Pruning Shear that we offer is not prone to early wear and highly durable. 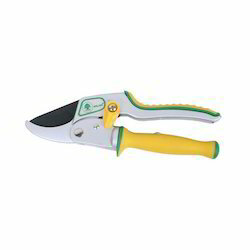 Easy to handle, this Pruning Shear comes at market leading prices.